Unemployment in the United States has fallen significantly since the 2008 financial crisis, but the number of millennial men in the workforce has remained unusually low, cnbc reported on November 10. Labor force participation for women has almost returned to what it was before 2008. However, the number of prime working-age men (ages 25 to 54) with jobs has not rebounded the same way. 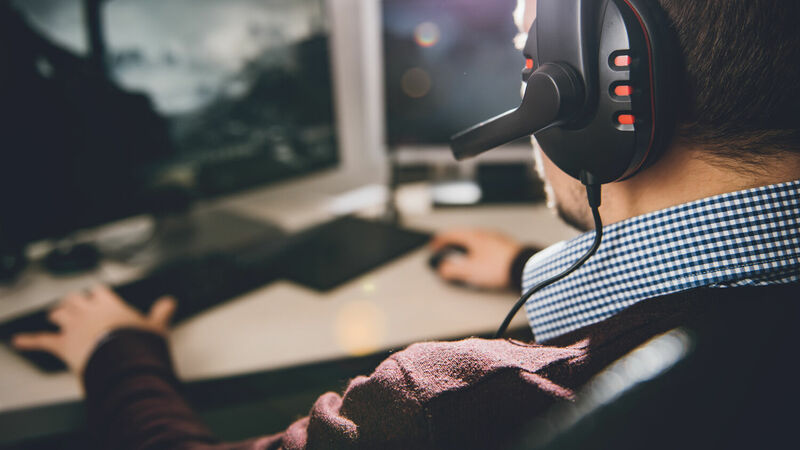 Bank of America economists Michelle Meyer and Anna Zhou christened this “the tale of the lost male.” Economists Meyer and Zhou say those lost males can be found playing video games. As of last year, 22 percent of men between the ages of 21 and 30 with less than a bachelor’s degree reported not working at all in the previous year—up from only 9.5 percent in 2000. Overall, only 88 percent of men between the ages of 25 and 54 are working or looking for work, the third-lowest among 34 developed countries, according to the White House’s Council of Economic Advisers. Meyer and Zhou say that the dearth of young millennial men in the workforce is “particularly acute” when compared to other age groups. So why are so many millennial men staying out of the workforce? Many of these men are also living at home. Nearly two thirds of nonworking millennial men without college degrees live with their parents or with other family members. Before the 2008 recession, it was approximately one third. Today, more U.S. men in the prime of their lives live with their parents than with a romantic partner—for the first time since the 1930s. Instead of working, many of them are living with their parents and playing video games. Part of the appeal of video games for millennials is the guarantee of immediate rewards. Danny Izquierdo, told the Tribune, “When I play a game, I know if I have a few hours I will be rewarded. With a job, it’s always been up in the air with the amount of work I put in and the reward.” The lack of instant gratification from a job is a turnoff for many millennials. Instead of searching for jobs and failing, a significant percentage of these men are choosing not to work. The implications of this data are concerning. If young men are not working, they are not gaining the job experience they will need in the future when they can no longer live off their parents. This trend also puts the future of the U.S. economy in jeopardy. If a demographic that has traditionally infused new energy into the workforce no longer want to work, what does that mean for the economy? God began the creation of human beings with the man, and immediately gave him work to do (Genesis 2:7, 15). God gave man physical things to teach him good stewardship—taking care of the blessings we receive. Further, after Adam sinned, God actually made his workload harder (Genesis 3:17-19), knowing that physical labor is crucial to building character. God knows that when everything is handed to us, we just don’t do well; He wants man to earn his bread through the sweat of his brow. And the Bible is clear in its command to men that they work to provide for their families (e.g. 1 Timothy 5:8). This age group forms the future leaders of our nation. If young men are doing nothing more than sitting on the couch, playing video games, then what does that mean for the U.S.? Bible prophecy indicated that in the end time we would have a lack of strong male leadership. In Isaiah 3, God said that He would take away “the mighty man, and the man of war, the judge, and the prophet, and the prudent, and the ancient, the captain of fifty, and the honorable man, and the counsellor, and the cunning artificer, and the eloquent orator” (verses 2-3). To learn more about God’s view on what young men should be doing in the prime of their lives, read our book Biblical Manhood.